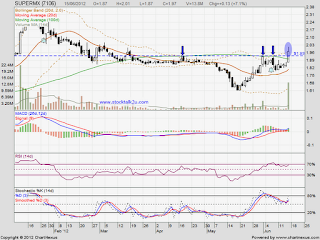 SUPERMAX succeed break throufh MA100 resistance level. Stochastic %K been trigger BUY call. High potential will break through RM2 psychology level & go higher. 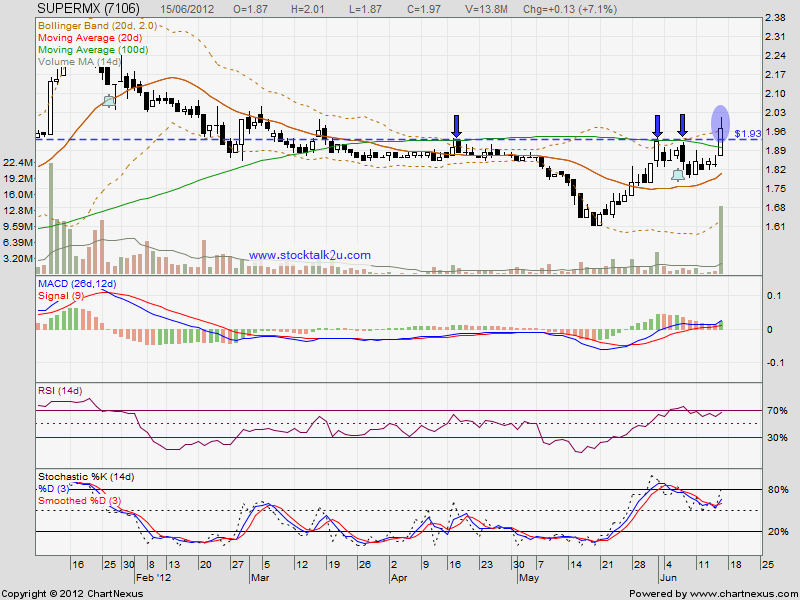 If retrace down, immediate support @ RM1.93 / MA100 level.